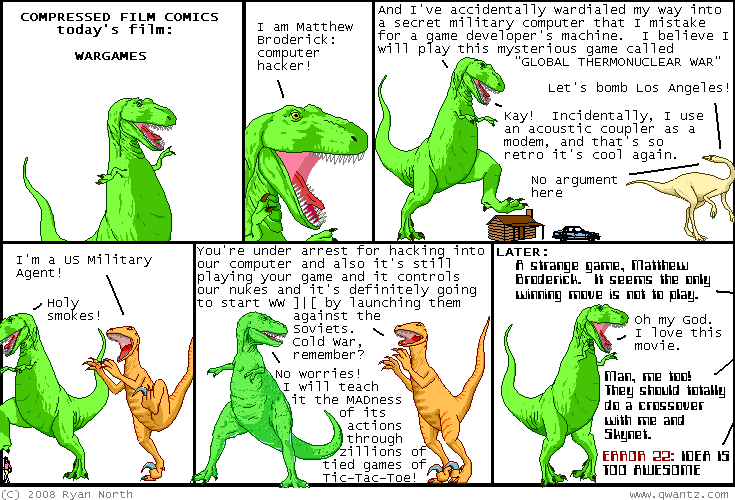 Dinosaur Comics - June 20th, 2008 - awesome fun times! June 20th, 2008: Guys! At the Mozilla party there was an adorable stuffed Firefox from Japan. His name was "Foxkeh" and at the end of launch party, he want missing! 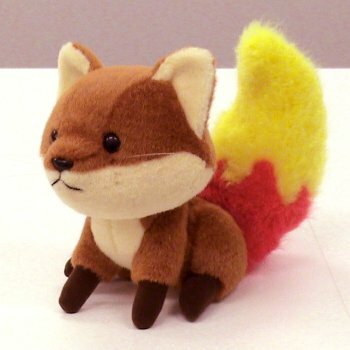 If you've seen him or knows where he might be, could you drop beltzner@mozilla.com a line? He looks like this. Thanks! One year ago today: the last two sentences in this comic have never been said together before, until now. i will bet fifty cents on it.